The Bananagrams Challenge provides an enjoyable and interactive way to develop the language skills of Key Stage 2 children as they play and learn with words. A fast and fun anagram game that requires no pencil, paper or board. Over 120 children have entered across the school, so lunch times are now a hive of Bananagram activity. In January, for the second year running, we launched our Bananagrams Challenge for 2017. 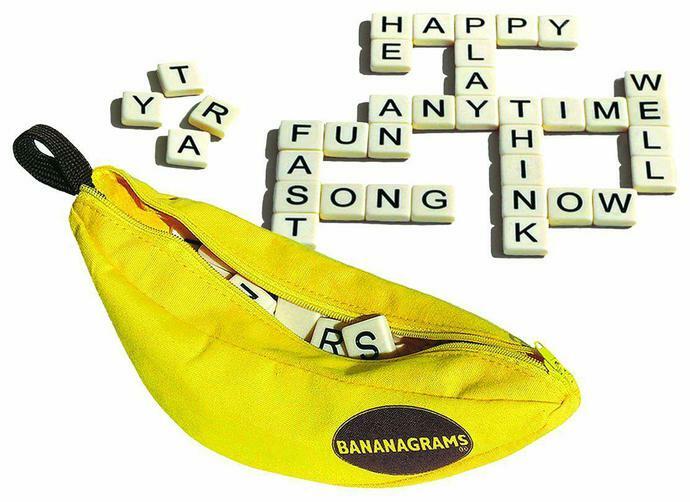 Bananagrams is a word game similar to scrabble but without the board; it tests your ability to make up words from random letter tiles. Pupils from all classes took part in the tournament over a six week period, culminating in a grand final between Jada in Class 6 and Josie in Class 4. It was a close run battle with a nail-biting finish that saw Josie make the winning call of Bananagrams! Josie then went on to take part in the online elimination games over the following 3 weeks. Last Friday the competition was closed and the 12 finalists were announced. Despite not making the final 12, we are extremely proud to announce that out of 1500 schools nationwide Josie came a very impressive 93rd! Josie demonstrated considerable determination and focus to do so well against other children who were up to two years ahead of her. Well done Josie! The 2016 Bananagram Challenge however, goes beyond Broomgrove. The 'in-school' challenge has to be completed by Friday 26th February. Our overall winner will the go forward into the 'Best of the Bunch' elimination rounds against children from other schools across the country. Depending on How good our Overall winner proves to be, The Grand Final will be taking place in London on Saturday 30th April. This week our Bananagram Competition reached its conclusion with the Grand Final. Over 120 children initially entered the competition from across the School. The Grand Final came down to a battle between Josie in Year 3 and Serena P in Year 5. A tightly fought contest, that at one stage could have gone either way, eventually went to Serena. Many congratulations to Serena for becoming our 'Top Banana'. She will now go onto represent the School in the regional Bananagram elimination round.